Chronic stress is correlated with increases in stress hormones cortisol and cathecolamines. There is strong scientific evidence linking negative emotional states like depression, anxiety, or anger with increased risk for cardiovascular disease. However, much less is known about the association between positive emotional states, the so called eustress, like laughter and happiness. The nicest of all laughter types is associated with humor and it is specified as mirthful laughter. In this respect there are some studies made by Berk and colleagues, from the Loma Linda University, demonstrating that in comparison with chronic stress mirthful laughter reduced the levels of Cortisol by 39%; adrenaline by 70% and dopac by 38%. The conclusion in one of their papers was that humor appears to attenuate catecholamines and MI recurrence and thus could be an effective adjunct in post-MI care (1, 2, 3). On the other hand Michael Miller, from the University of Maryland, presented a study at the European Society of Cardiology in the 2011 Congress (4) highlighting the link between endothelial function and laughter. His study showed that when people laughed their major blood vessels dilated allowing for easier blood flow, that indicates a reduced risk of cardiac events. Dr. Sugawara and colleagues in 2010 have confirmed the findings from Dr. Miller saying that their results suggest mirthful laughter elicited by comic movies induces beneficial impact on vascular function (9). Again, in the presentation made by Dr. Miller at the ESC, 2011, volunteers watched segments of a funny movie, such as the farce “There's Something About Mary” on one day and on another day watched the opening segment of the stressful movie “Saving Private Ryan”. When study volunteers watched the stressful movie, their blood lining developed a potentially unhealthy response called vasoconstriction, reducing blood flow. Overall, in this time, more than 300 measurements were made with a 30-50% difference in blood vessel diameter between the laughter and mental stress phases (4). III. 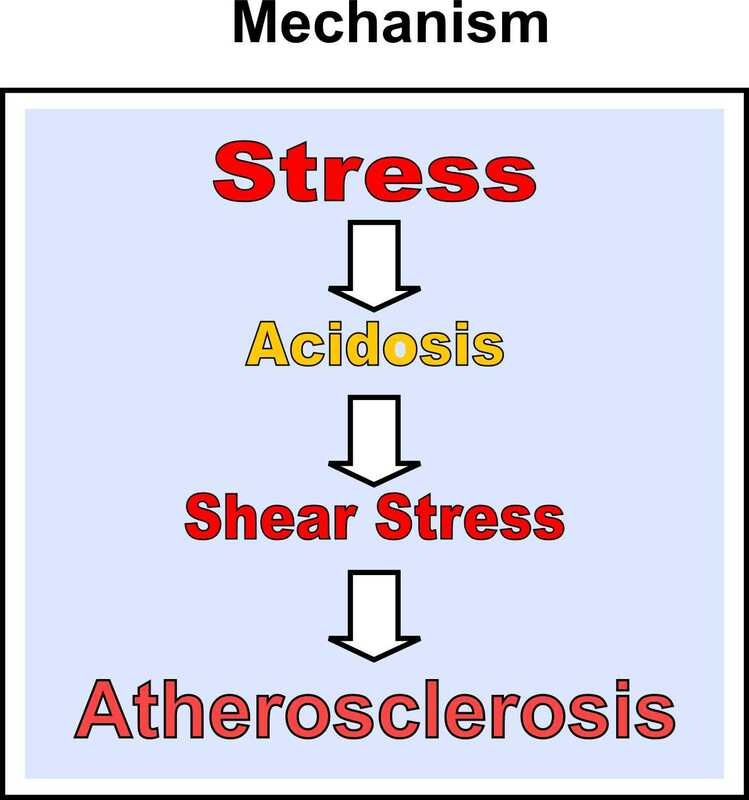 Lowered pH (acidity) that increases perfusion pressure and provokes effects on contractility of coronary arteries leading to changes in hemodynamic shear stress and atherosclerosis as consequence. Sympathetic activation, metabolic acidosis and vascular reactivity The studies by Berk and Miller confirm previous studies suggesting that the sympathetic activation with elevation of circulating catecholamine (adrenaline, etc..), cause coronary vasoconstriction and consequent reduction in blood flow. On the other hand it is interesting to notice that increased lactate (or decreased blood pH) may evoke vascular smooth muscle relaxation and increase of blood flow (11). 4. Miller M. Laughter and vascular function, ESC 2011. 9. Sugawara et al. Effect of mirthful laughter on vascular function. Am J Cardiol 106:856-9 (2010).